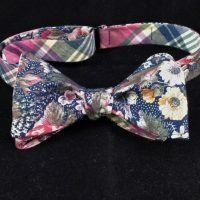 Reversible cotton butterfly bowtie, one side in a lively madras plaid with blue, red, green and yellow; the other in a Victorian-style floral print. These fabrics coordinate superbly for a cool look in warm weather. 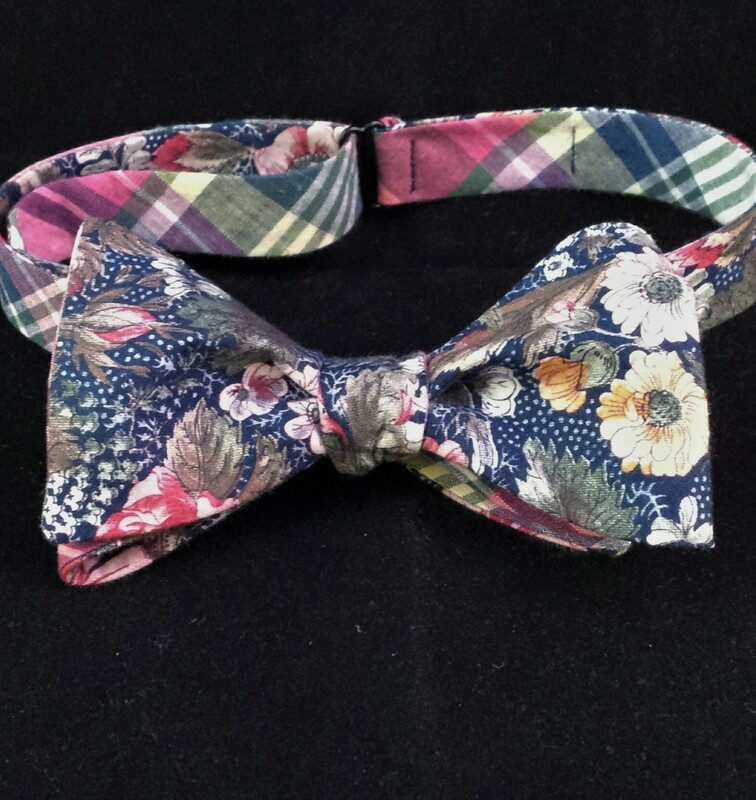 Made from reclaimed fabrics. 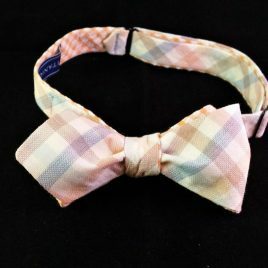 Reversible cotton diamond-point bowtie in peach, tan and blue pastel plaid with peach seersucker on reverse. 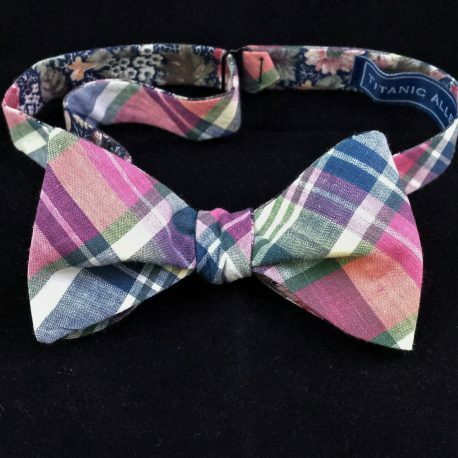 Made from reclaimed fabrics. Also available in batwing style. 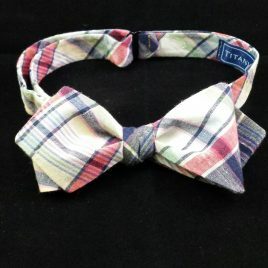 Cotton diamond-point bowtie in bright madras plaid. Dominant colors are blue, red and a vibrant lime green. 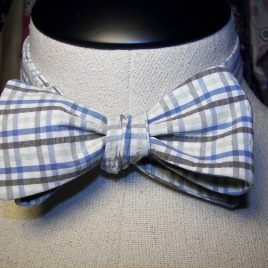 Made from reclaimed fabrics. 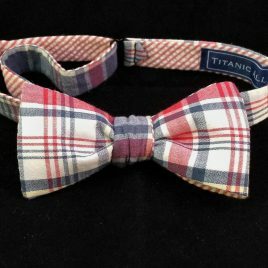 Reversible cotton batwing bowtie, one side in red, white and blue madras plaid, the other in red seersucker. Perfect for patriotic occasions. Made from reclaimed fabrics.